A look at the current Tate Britain exhibition by a man often described as one of Britain’s greatest artists. 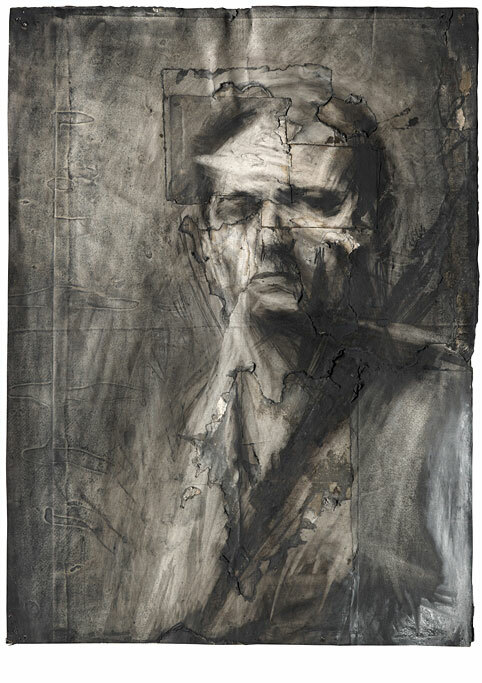 Frank Auerbach’s beautifully crafted paintings are so tangible they practically step off the canvas to greet you. A common phrase that you’ll find lingering around Frank Auerbach is that he is an introverted character, something of a recluse. This moves me to draw on the common adage that genius often inhabits the same space as lunacy, and although to paint Frank Auerbach with this brush— pun very much intended— might be excessive, there is no denying that his work flirts with both worlds. The Tate Britain exhibition I visited, curated by Frank Auerbach’s model of 37 years Catherine Lampert, is a visceral and scintillating catalog of work, as both a compendium of human nature and a meaningful excavation of the personal quest of an artist always striving to reinvent and rewrite his creations. This retrospective oeuvre encompasses Auerbach’s journey to find new meaning, to always shed new light on a very singular engagement with the same places and people of London which have won his attention for 60 years. 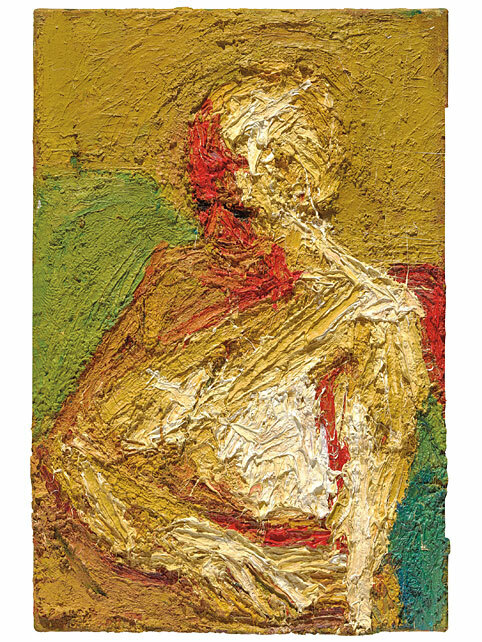 The exhibition, which Auerbach played a hand in forming, comprises eight paintings per decade of work and focuses on these quintessential subjects of his attention, emphasising his restless, industrial attempts to resist continuity and his steadfast quest to find meaning— a seemingly tireless desire to reach a conclusion. Auerbach’s portraits vary from spectral graphite impressions to fleshy, sometimes gollum-like depictions. But all with the same guarded story, which needs prizing out by a patient and observant viewer. The more time you give to looking at an Auerbach, the more it gives up its story in reciprocation; an expression you misread at first glance or a textural inflection that escaped your gaze can easily disappear into the great mountains of paint they reside within. His portrait of E.O.W. and himself in charcoal— distorted and fragmented reflections staring out at the viewer through Auerbach’s encasement of blurred lines and deleted patches— have an unnervingly apparitional feel to them. In contrast, his painting portraitures of E.O.W. (1955 and 1961) are poignantly macabre images submerged in layers of paint, whose sunken features adopt a skeletal quality juxtaposed with the fleshy tones of thick paint used to extrude the face from its canvas. These paintings are transcendental in appearance, nomadic in form as they float somewhere between sculpture and painting but never quite settle on either side. Other portraits have a fluid property which mustn’t betray their subtle delicacy or the arduous work that has gone into them. 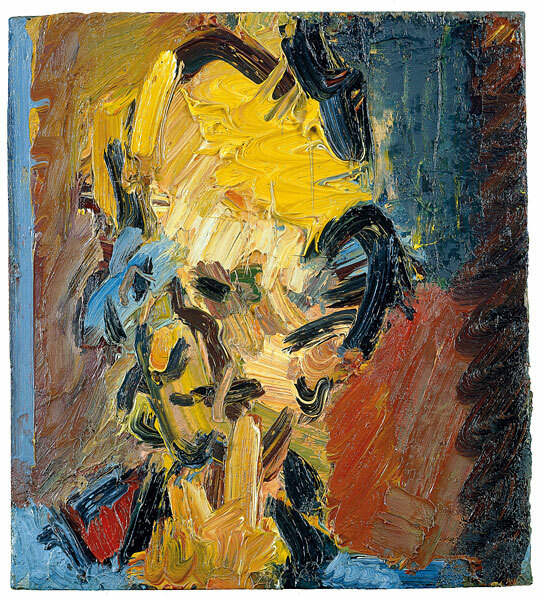 His painting of Catherine Lampert (1981-82) or the head of JYM (1984-85) contain intrinsic history’s through the repeated process of adding and taking away, fluctuating in and out of form as Auerbach would have broken down and built them back up, their tumultuous foundations coated in bold, expressive lines as the final product finally breathes life into their wearying bone—, evoking images of Frankenstein giving life to his monster. His sceneries are striking in colour and form and provide a refreshing break from the more melancholic portraits. The colours are often vibrant and floral as broad lines and angles plough through layers of paint. Often the palette is natural and earthy, yet Auerbach’s very unnatural and deconstructed impression of the world around him is nothing but. We see buildings ingested by walls of paint and mechanical looking trees erupting from the ground like something out of a Spielberg film. What remains the same in his work is that what he paints never does. With each new painting of a scene which Auerbach has probably painted too many times to recall, comes new meaning, a new examination, permitted through the obscurity of its predecessors. Irrespective of their subject matter, one can’t help but stare mesmerised at Auerbach’s work, with a sense of awe in appreciation for the dedication to technique and patience which they embody, whilst remaining alive and fresh even though they may have been reworked for months. 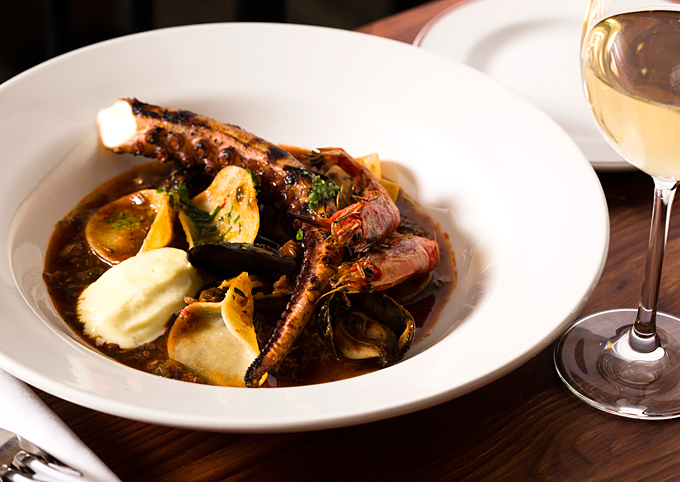 The raw, disconcerting textures built up or left hollow are like none other. At times his visions conjure up parallels to Alberto Giacometti in the restless, juddering character of their figures, whilst others hark to the works of Ben Nicholson in the block colours and brave lines seen in his scenery. 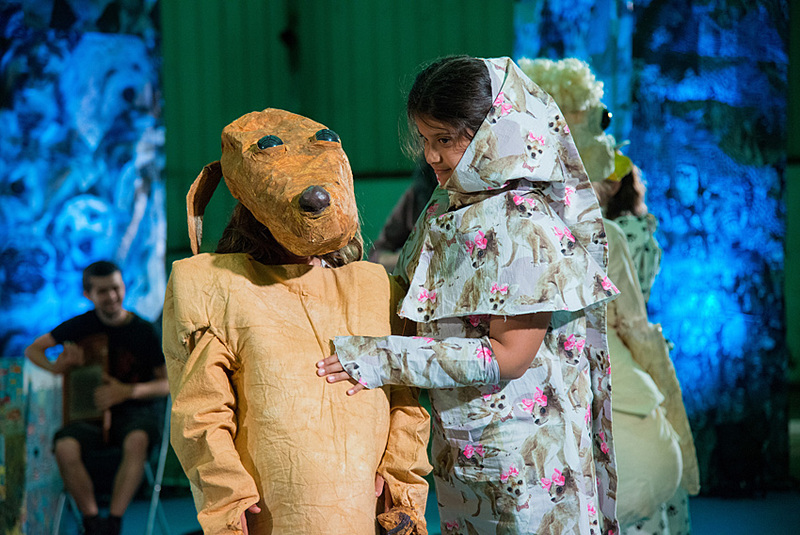 The technique is bold and unabashed in a way that is reminiscent of Jackson Pollock yet meticulous and gestural like Willem de Kooning’s work. 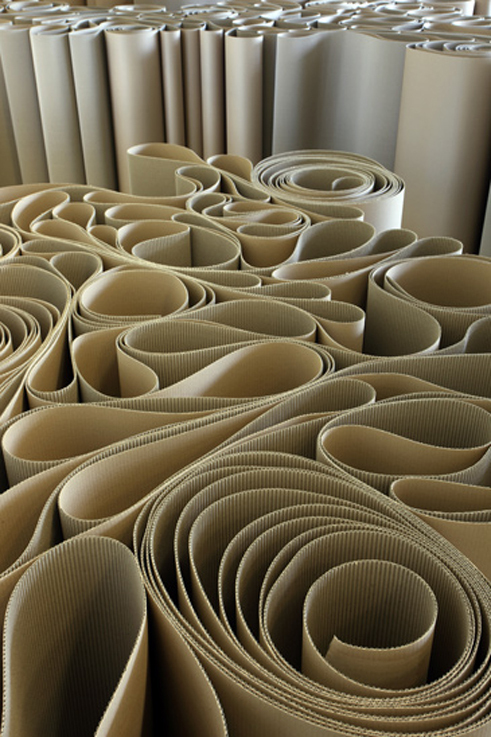 This exhibition typifies every artist’s quest to create new,interesting work which still intrigues and captivates both its audience and creator. 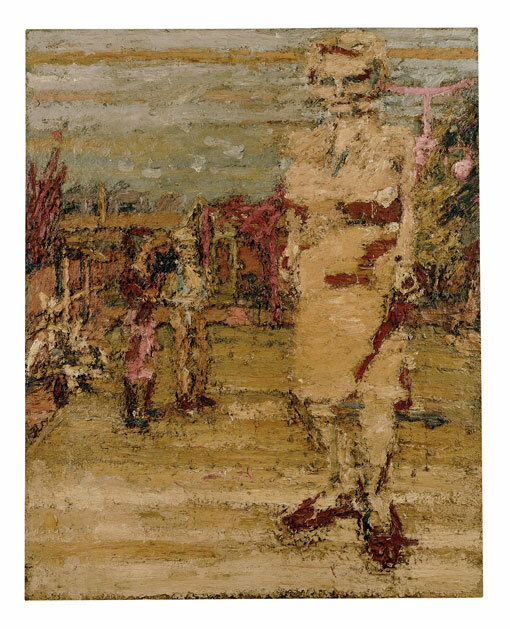 One can’t help but look at the searching, haunted and almost grief stricken expressions of Auerbach’s subjects and see in them a young boy sent to the UK, later to become orphaned, trying to make sense of a world which had betrayed him. The Frank Auerbach Exhibition is at Tate Britain until 13 March 2016.